If you are in love with water and climbing great heights, then you will surely love this place. The tower is located in the small city of Corsica. The wonderful sightseeing zone from the top of the tower is worth mentioning. 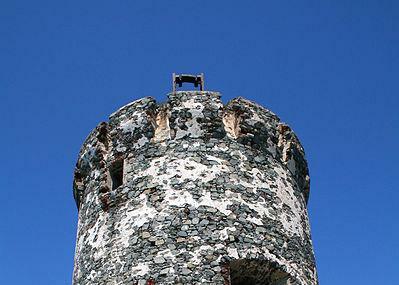 The tower is located on a rocky promontory and is about 55 meters high. There are two vaulted platforms one above the other at the top. The main attraction of this place includes boat surfing and fishing in the nearby water. So, you can come here and relax in the middle of great sculptures and the ocean. Create a customized plan for your visit using the Ajaccio trip planner. You can use ready templates or start from scratch for the same. You can enjoy a comfortable stay in the city by booking the best hotels in Ajaccio like Hotel Du Golfe, Hotel Fesch and Napoleon. Generate executable plans on your own or book the top rated Ajaccio vacation packages for your visit. Read more on how to reach Ajaccio. How popular is Tour De La Parata? People normally club together Acquagliss and Home Of Napoleon Bonaparte while planning their visit to Tour De La Parata. Peaceful, relaxing walk just outside of Ajaccio - not more than 10 km from the center. Breathtaking view from the tower, worth every step. Nice walk to the tower. With a little effort you can climb up to the top of the hill where there are great views especially at sunset. Trip was OK. Parking costs per hour but a few hundred meters before people just park at the street. The walkway is nice. The burning sun is making it a short but exhausting trip. No shadow on the road. Only if you decide to climb the way up to the tower and not only doing the round tip you might find a spot where the tower provides shadow. Unfortunately you cannot go in and up to enjoy an even greater few from the top of the tower. It is worth a trip. Traffic jams to reach there and the sun make it a bit bothersome but all in all ok.
nothing special, alot of people - crowdy. Go there at sunset for nice walk with great views.